In 2016, it was done a lot, and in 2017 will be even more! 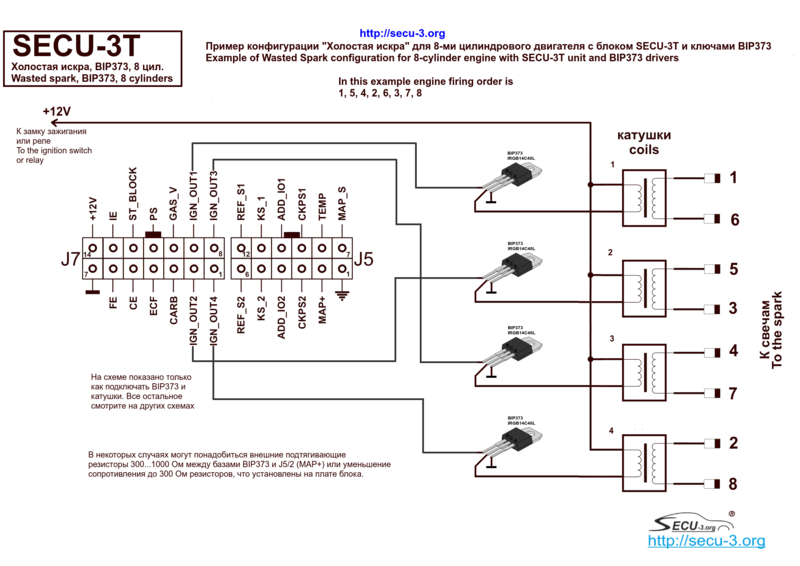 04-09-2016 Wiring diagrams wasted spark on 8 cyl. 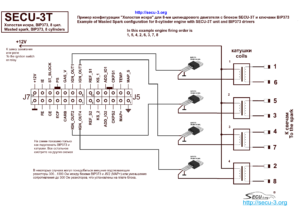 and sequential ignition on 6 cyl. 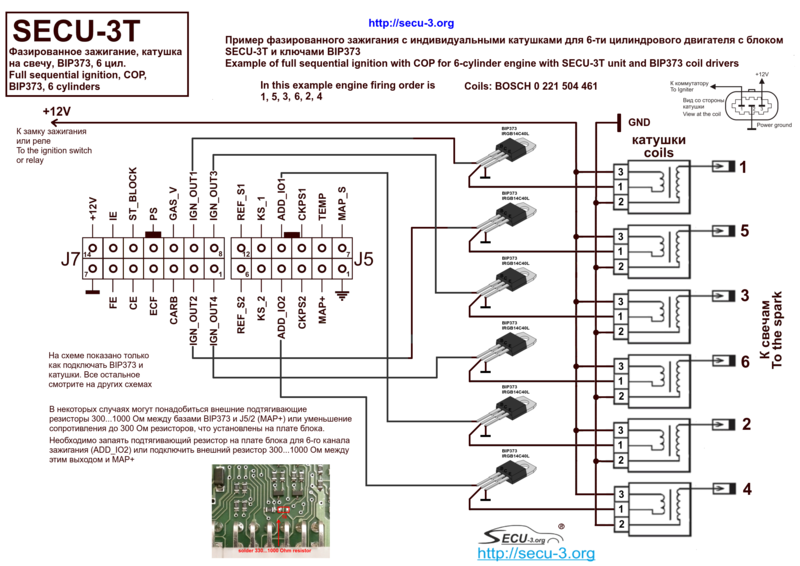 Two wiring diagram examples have been added. 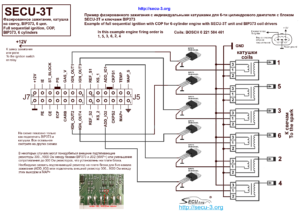 These wiring diagrams show only BIP373 and coils, connecting all other sensors and devices please see on other wiring diagrams and installation manual. 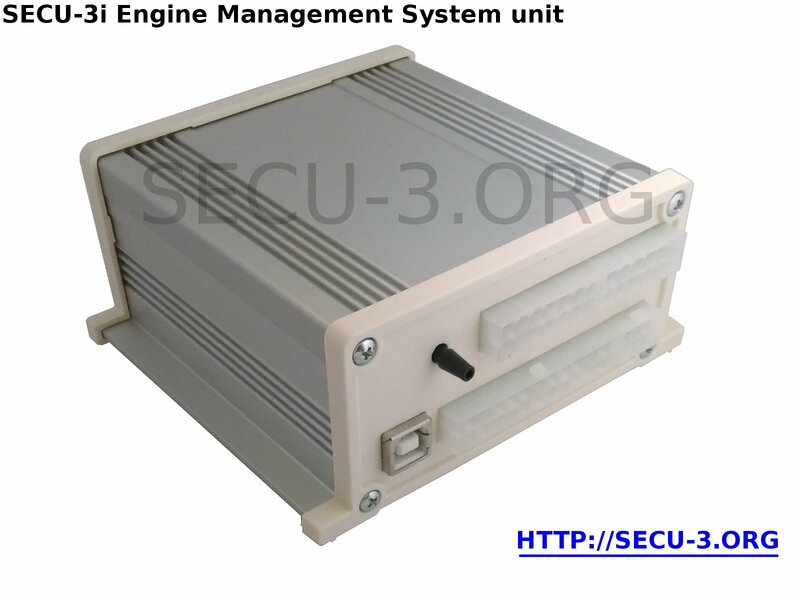 Author is glad to introduce a new version of the SECU-3 Engine Management system – SECU-3i unit. 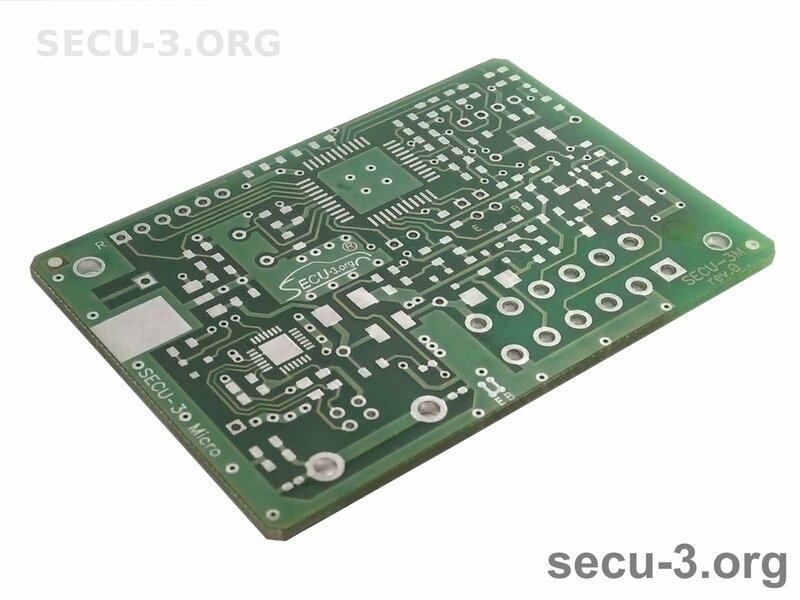 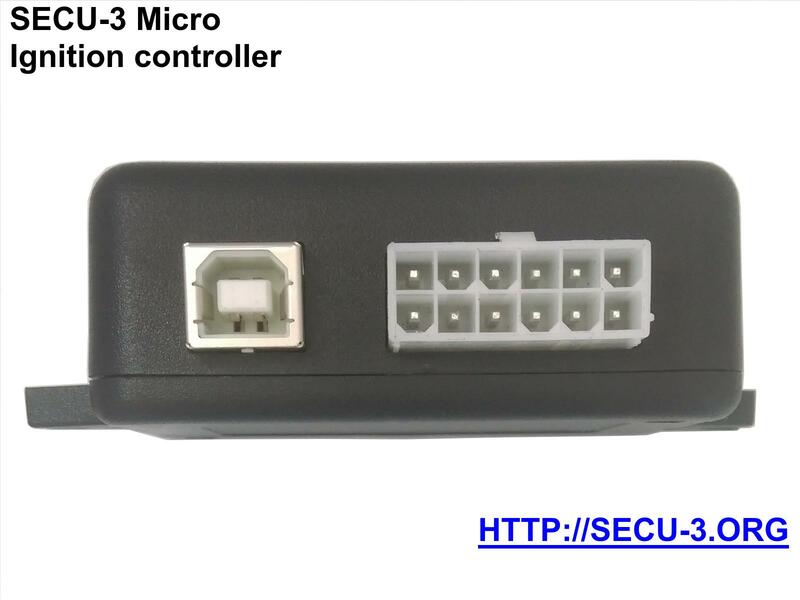 SECU-3i unit consists of two boards. 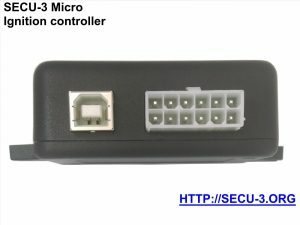 Developed hardware is versatile. All inputs and outputs are fully protected. Author is developing software for this unit now. After that, full testing of the system will be started. 22-06-2016 Testing of the SECU-3M (Micro) unit has started! 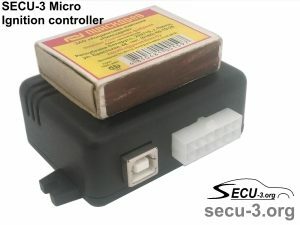 Testing of the SECU-3M (Micro) unit has started! 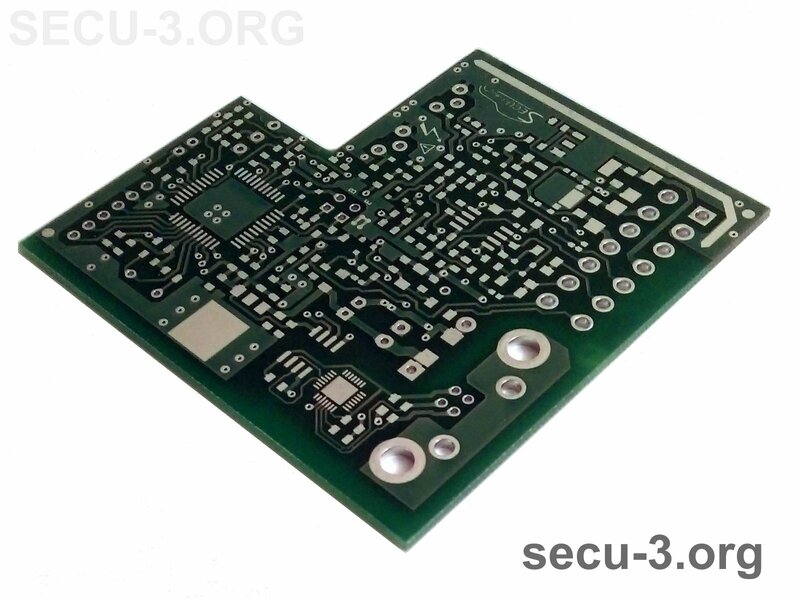 22-06-2016 PCBs for the SECU-3 Micro ignition controller are in stock! PCBs for the SECU-3 Micro ignition controller are in stock and ready for orders! 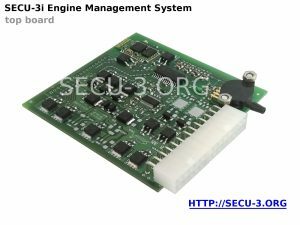 13-04-2016 New software release is made (v4.4)! 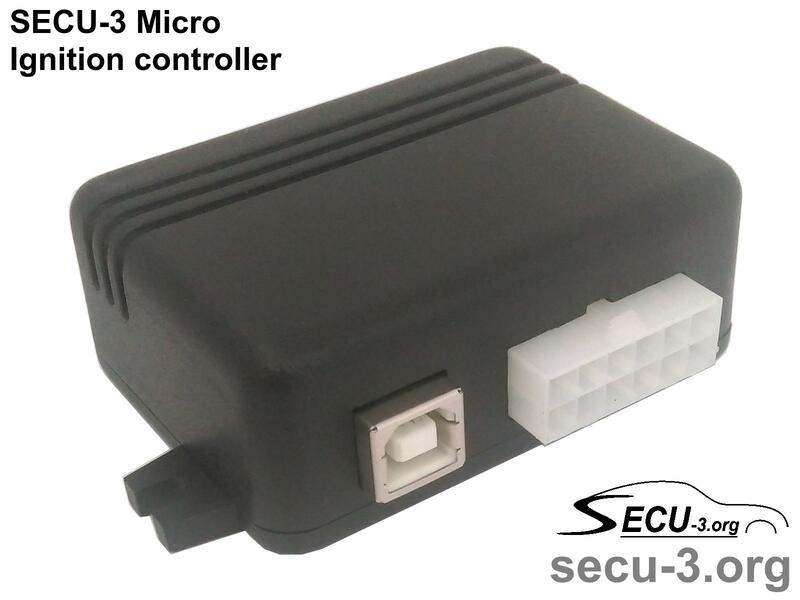 New software release is available (firmware, boot loader and SECU-3 manager). 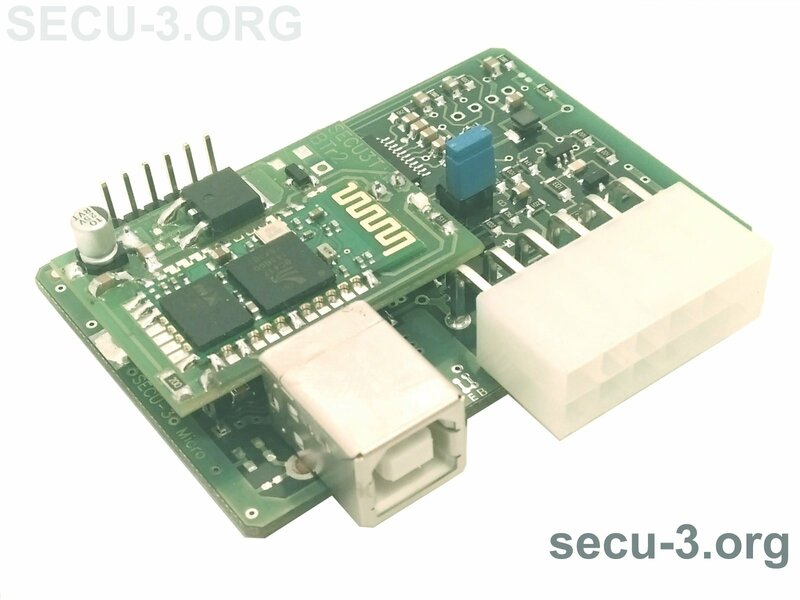 File secu3app/binaries.7z contains 42 different firmware files (different configurations). The archive contains file release.txt which has the description of all firmware files. 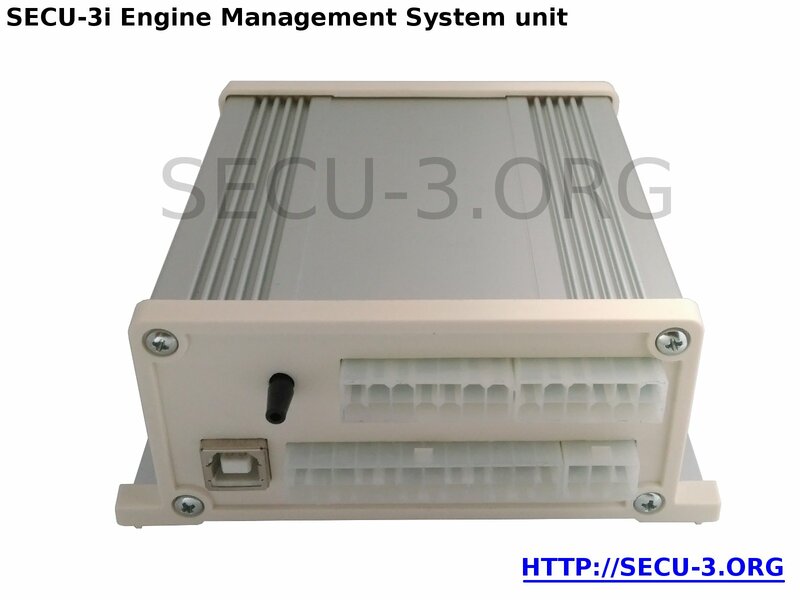 File secu3man/binaries.7z contains the executable file and the libraries of SECU-3 Manager. SECU-3 Manager in the form of single executable file is here (operates on MS Windows, but doesn’t operate on Wine). 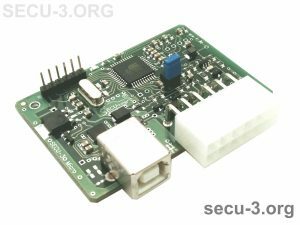 Other small improvements and corrections in firmware and program SECU-3 Manager. 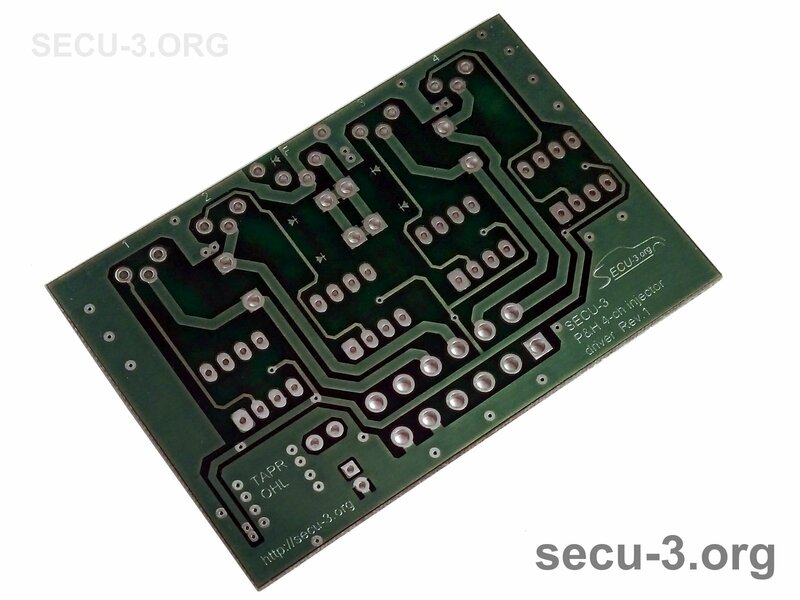 New SECU-3 Lite PCB are available (rev.4). In this version added support of coolant temperature sensor and other small improvements. 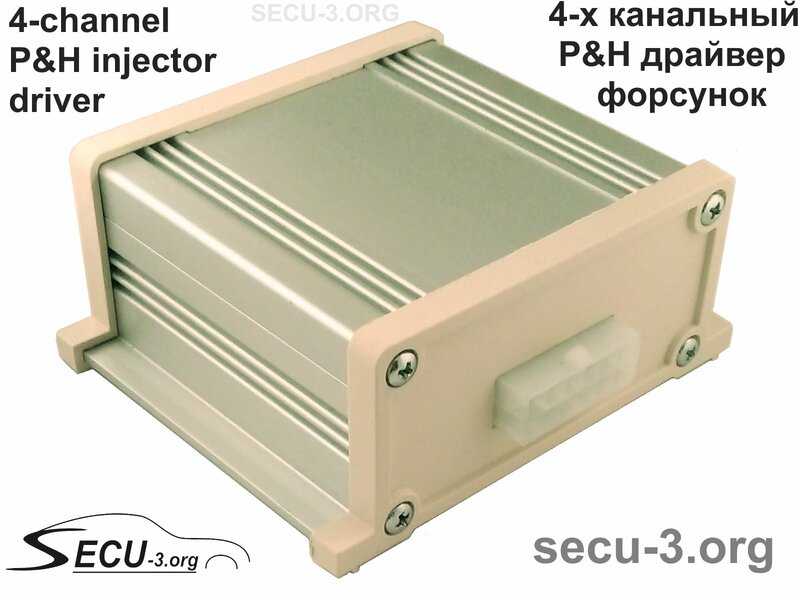 17-01-2016 4-channel Peak-nHold injector drivers are available! 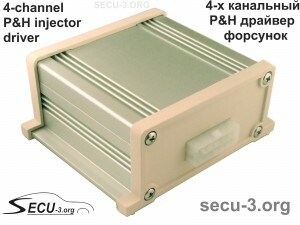 4-channel P&H injector driver unit. 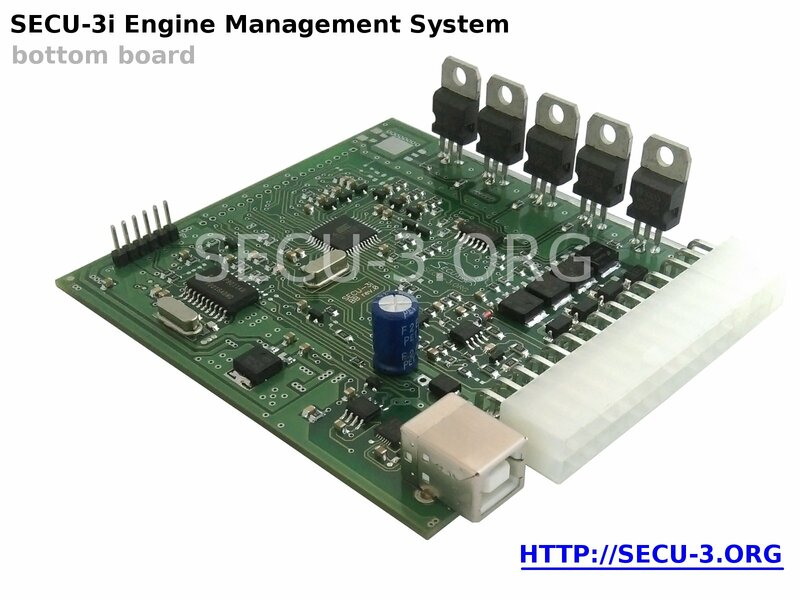 Can be used with various types of ECU. 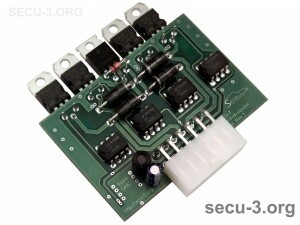 Inversion and pull-up/pull-down resistors can be configured for each input (config. provided on PCB). Test of this unit has started. 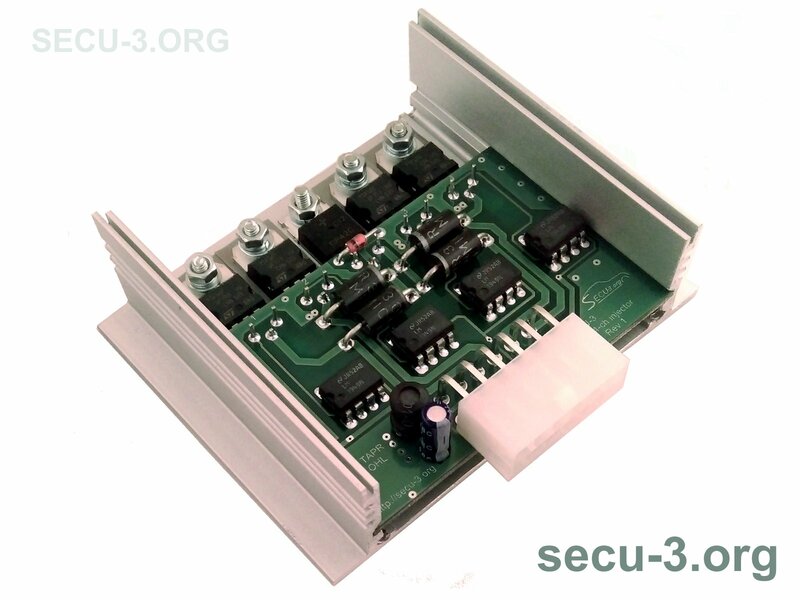 16-01-2016 PCB of the 4-channel P&H injector driver are available!